Our fabulous songs about math guarantee to excite and engage classes. 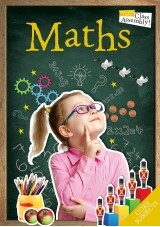 We have songbooks suitable for ages 3 – 11, full of catchy tunes to help everyone learn about maths in an enjoyable format! It’s known widely as one of the more complex core subjects, so why not try and make the experience of learning maths easier? With our maths related songs. There’s no need for pupils to feel confused or unsure when they are learning through our songbook collection. Songs can really resonate with pupils, as the repetition of the words combined with the rhythm of the tune forms a pattern in children’s minds, which helps them to remember things easier in song. These songs can really get pupils involved in their own learning, making them feel excited about the subject, as their confidence begins to grow after learning the songs. From addition to subtraction to symmetry to shapes, this collection includes songs to cover all age appropriate mathematics topics. 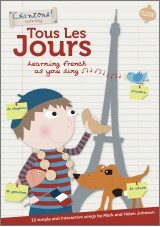 For KS2 and juniors you can now even learn how to count in French, with our Tour Les Jour song book! The possibilities really are endless when it comes to this entire collection of maths related songs, leaving classes feeling excited and passionate about this subject.